The BBC launched Class Act, a three-day intensive training programme for disabled actors that will cover audition and camera technique, business and acting skills, as well as provide an industry showcase event. The BBC used a photo of Daniel Laurie, graduate of our Performance Making Diploma, as the lead image to launch the programme! He was in Call The Midwife earlier this year. This blurb could spell both good and bad news. Increased representation of autistic people on television - especially on a show with such a large production budget - could have a really positive impact, however, the character and his description does seem to propagate the Savant narrative of autism. Is the world only interested in hearing about autistic people if they're intellectually astounding? The intellectually astounding young surgeon in question is played by the young, handsome, talented Freddie Highmore. The one adjective that cannot be ascribed to Highmore, however, is autistic. Working behind the camera only, it seems. The neurotypical casting of Dr. Shaun Murphy is just that: typical. This is such a shame - and a massive missed opportunity. For an up and coming autistic actor to receive a life-changing role, for autistic people around the globe to receive a role model, for the public at large to receive a better, more nuanced understanding – and portrayal – of autism. We believe that authentic casting is really important. It allows people to see themselves on screen, de-stigmatises disability and offers vital employment to a group of whom only 6% are in work. It shows the world the amazing things people with disabilities of all kinds can do. Inclusive and authentic casting can be a great equaliser. Jules Robertson, a semi-regular in Holby City, is the perfect example of this. Learning disabled and/or autistic actors are experts by experience. Characters with disabilities are not opportunities for 'gruelling portrayals' and 'shocking transformations' - they're few and far between: glimpses and instances where people can do what they love, be paid for it, and show the world their talents as well as what disability really looks like. They should be respected not re-purposed for box office takings or award nominations. It's not just casting opportunities that are thin on the ground, its training opportunities too, which compounds the cycle into one of self-perpetuity. To combat this, our Performance Making Diploma at the Royal Central School of Speech and Drama, which won the Guardian University Award for Widening Participation, aims to train the next generation of learning disabled and autistic performers. For graduates, our industry-first partnership with talent agency Simon & How secures professional roles on stage and screen on productions including The Level (ITV), Damned (Channel 4) and with theatres like The Almeida. 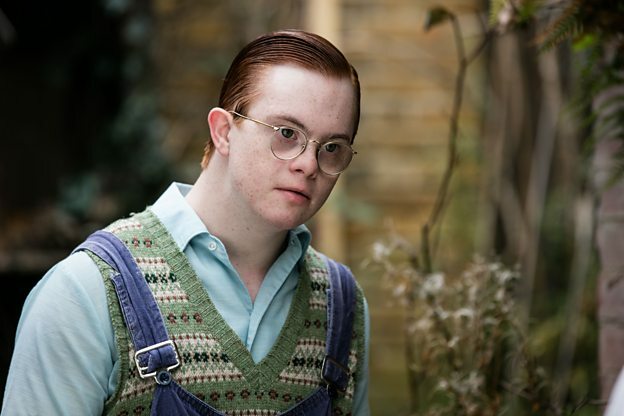 To launch this partnership – and to celebrate the great work of learning disabled and / or autistic actors – we’re holding an event, See Me On Screen, at Channel 4. See Me On Screen will explore the best ways of working with learning disabled and / or autistic actors, as well as the best reasons to do so. Full information is available on the flyer below, and attendance is strictly limited to professionals from within the TV and casting industry. We hope to see some of you there. Here’s looking at you, ABC.